A Candid Red Studios Wedding Film. We offer professional photography services for all occasions. 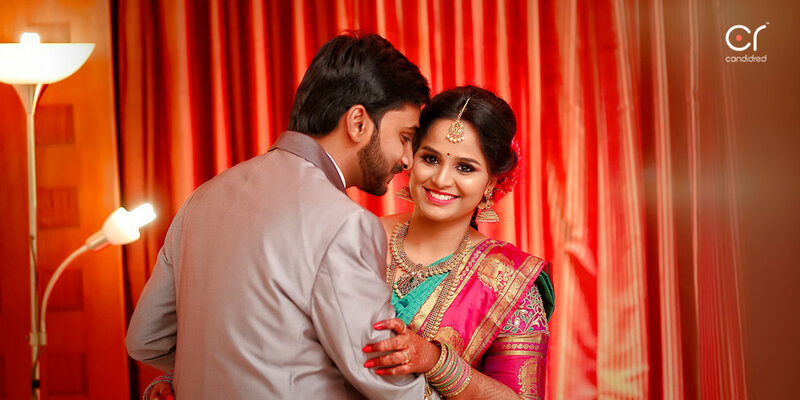 We specialize in Pre-wedding Shoots, Bridal Portraits, Muslim Wedding, South Indian Wedding, Couple Portraits, Reception, Engagement, Tamil Wedding, Hindu Wedding, Christian Wedding, Wedding, Birthday, New Born, Kids Portraits, Kindergarten and Babies & Kids photography and have been in the business for 1 year now. Apart from regular photography, we offer products and services such as Poster, Promo Videos, Coffee Mug, Lamination, Coffee Table Book, HD Videos, CD / DVD, Photobook, Frames, Calendar, Montage, Brochure and Blueray Disc. We cover events in Tamil Nadu & all over South India, depending on the requirement. We are comfortable communicating in English & Tamil. Candid Red Studios did my cousin's wedding shoot. They are fantastic, very imaginative, professional and totally committed in providing the best pictures. They know what needs to take a perfect shot.The pics were magical. I highly recommend them. Each and every pic is unique. Very creative and nice composition. Keep up the good work. Candid Red really made my engagement and my wedding a beautiful memory. And more memories to be pictured with Candid Red. Candidred did a great job. Communication was great and we received all of the photos that we asked for. So glad we decided to go with Candidred! They were professional and personable and everyone enjoyed working with them.I loved my experience with classic photographers!Their prices were so reasonable and very flexible. Excellent work! Worth the money. Liked the album. Would recommend to other friends. Excellent quality..............................................!!!!!!!! They done a good job over all. Awesome photography and videography. They are very genuine. Wonderful time management, quality output, trendy photography, trendy videography, nice behaviour. Excellent service provided by the candid red team. Personally congratulate Mr. Vibin for his commitment and the quality service being provided. Hope the same would continue. Wishing u all the best and success. Your message was successfully sent to Candid Red Studios. The Photographer may contact you soon.